PROTECTIVE scratch-resistant hardened mineral crystal, made to withstand the pressures of diving. 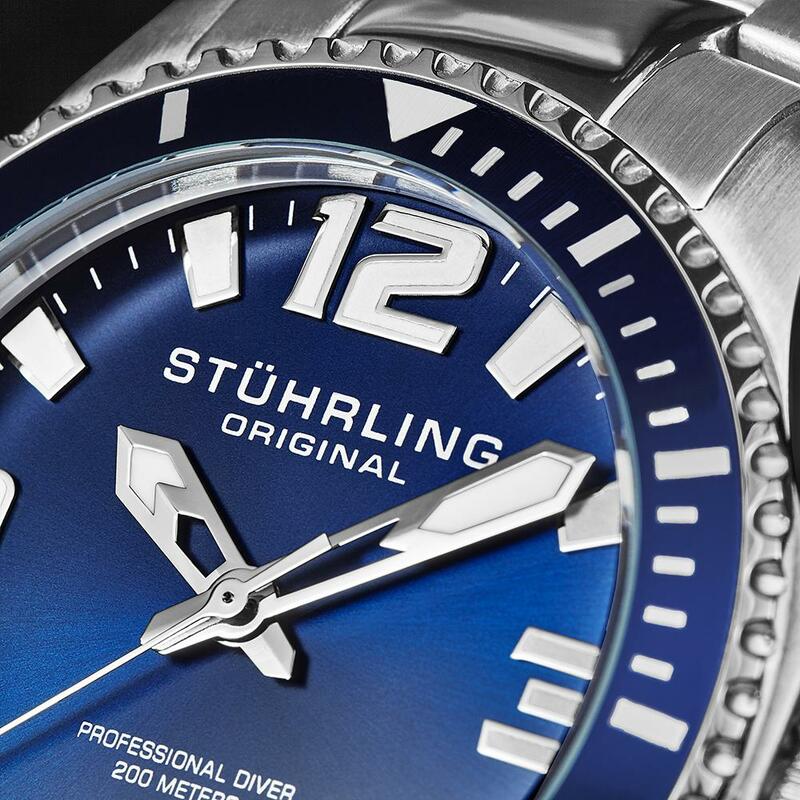 Sold by Stührling Original and Fulfilled by Amazon. Gift-wrap available. A rotating bezel is a circular piece around the crystal of a watch capable of rotating in one direction with markings at each five-minute interval. Its main purpose is to mark the passage of a specific amount of elapsed time under an hour. 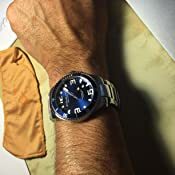 For divers, its utility helps to monitor the breathing time they have remaining under water; Since the bezel is unidirectional, if a rock hits it, the bezel will only rotate in the elapsed direction, which protects against miscalculating the time left in your dive. Sometimes referred to as a divers clasp, is an expanding metal mechanism composed of surgical grade steel, designed to fasten the watch bracelet for the perfect fit. 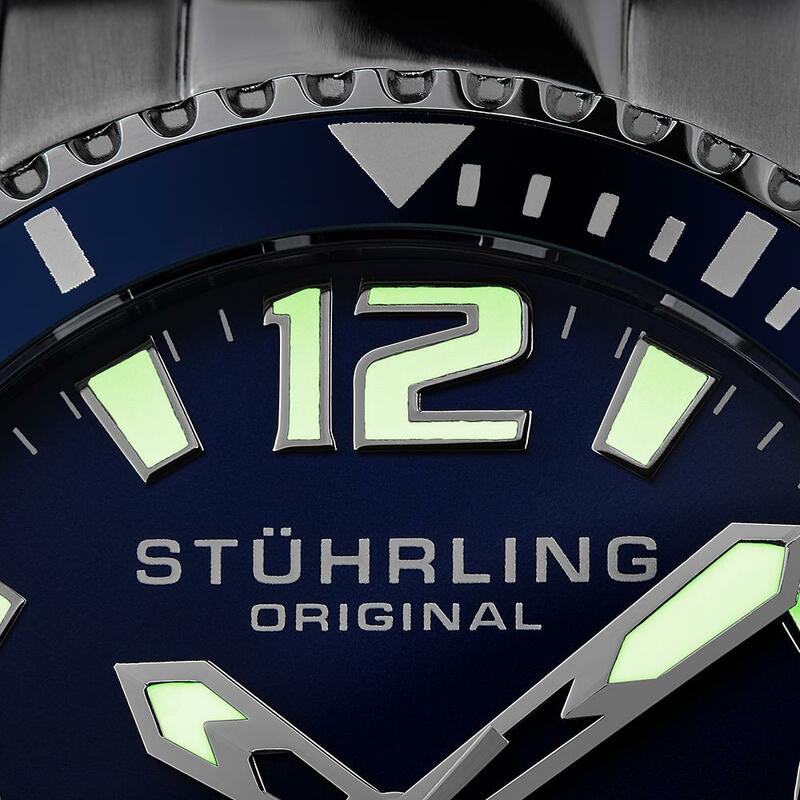 The hands and indices of the watch dial are coated with luminescent materials - a radioactive alpha emitter, which help the dial glow for a short time after being exposed to light. The alpha particles of the luminescent coating are made to excite a fluorescent material, which glows; Since even a single sheet of paper easily blocks alpha particles, there is no significant radation exposure and no need to worry. 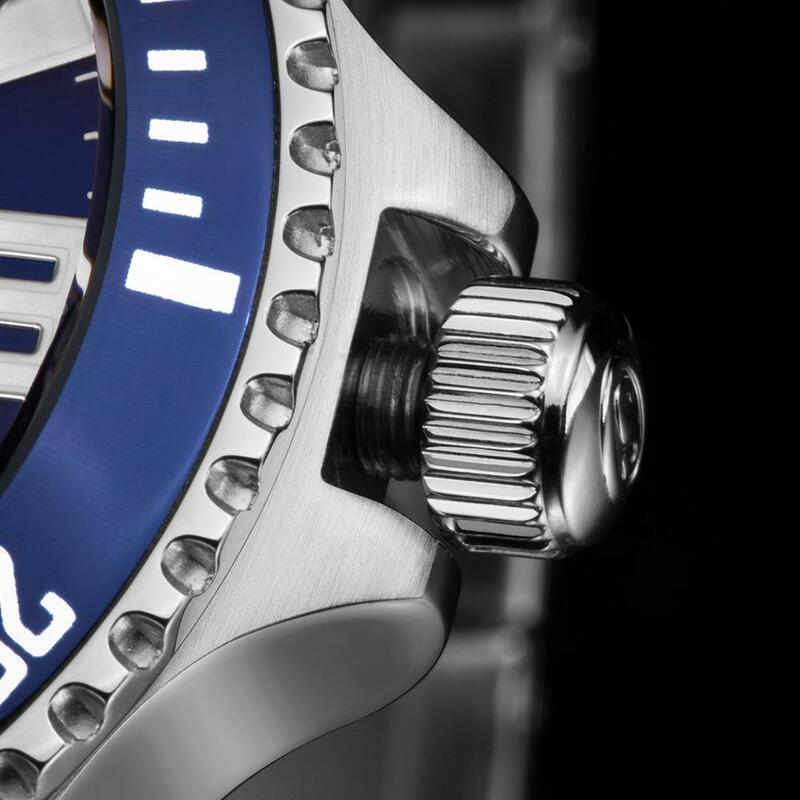 Commonly found on dive watches, a screw-down crown ensures water-resistance by sealing the crown to the case of the watch. 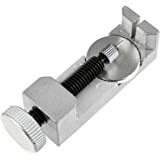 The screw down crown is not operated like a traditional push/pull crown, rather, it is accessed by pushing the crown downward and unscrewing it. An airtight seal is created when the case locks with the crown's internal threads, fastening the crown securely into place. I'm quite a watch fancier, having about about 20 watches of all different kinds, movements and brands. Several high end watches included, like Breitlings and Rolexes. 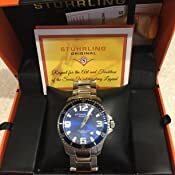 I bought this watch as I was curious as to what the price would bring. Honestly, I didn't expect much and was very pleasantly surprised. This is a quality piece. The case and band are beefy, with no skimping on metal here. All stainless steel with the middle band links polished to a high finish, with the surrounding link pieces also polished but a little less so, letting the band show very nicely without being ornate. Packaging is superb. 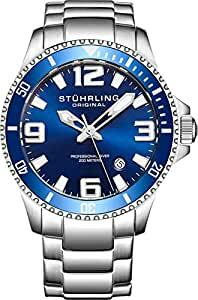 The watch is encased in soft plastic to protect it, there is a message from Max Stuhrling on the cover and adequate instructions. Very nicely done, Max. About the band. I have a rather large wrist and usually need an extra link or two. I had to remove a link on the watch and move up the clasp pins two notches to properly fit my 7 3/4 inch; wrist. 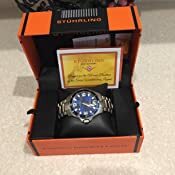 If you try to to size it yourself, you must have a watch tool kit (I got mine on Amazon, of course) and be careful to punch out the pins in the direction of the arrows embossed on the inside of the links that are removable. Note also that the head of the link pin is slightly larger than the end of the pin and needs to be reinserted last from the same side of the link it came out of. By the way, the clasp is of the squeeze the end sides type -- my favorite as it is very secure. And, the literature doesn't mention this, but the crown screws down. 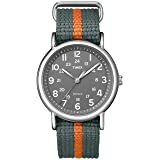 REVIEW UPDATE: After wearing this watch for two months, and synchronizing it with an "atomic clock" I have for such matters, I am impressed with its accuracy. In exactly two months, it has gained only six seconds. At three seconds per month, this means only 36 seconds per year. 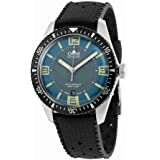 Very impressive for a watch of this price. I maintain my five star rating. The thing about watches that look like they cost $10k at first glance is the second glance. There’s always something almost-but-not-quite about these Rolex/Tag Heuer/IWC tribute pieces, but sometimes almost is close enough. Overall the finish work, face and bezel, is quite nice. The numbers approach cartoonishly large, but remember it’s a divers watch. The metal link band is a wee bit flimsy, in particular the latch on the clasp mechanism that can be stubborn and tricky to release, however in fairness these gripes are compared to similar (looking) bands on steel watches costing many multiples the price of the Stührling. The date was simple and straightforward to set. 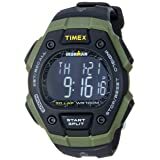 It’s a legit dive watch, too, rated to 200 meters, and well reviewed in that function by the websites that review such things. It’s on the heavy side as watches go, so keep that in mind if that’s the sort of thing that would bug you when you’re not floating weightlessly in the briny depths. 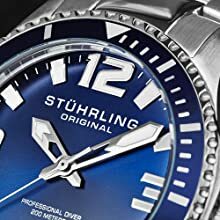 All things considered in the style/quality/function/price equation I can say I’m pleased with the purchase and will likely look to Stührling’s collection again when I next get the urge—as I seem to annually—to change up my wrist wear. No surprise you can get a nice watch for under 100 clams. I know a thing or two about watches and have a few nice pieces in my collection, but consider the following reasons how Stuhrling can sell at these rates. 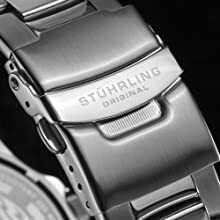 First, the swiss movements are outsourced and assembled in china, second, they use a synthetic crystal which is cheaper than sapphire.The inner clasp is composed of a stamped metal vs a solid polished stainless or Tungsten metal. But with all things considered, this is a go. I was surprised to see the branding is laser etched vs stamping, ridged/diamond cut bezel for nice grip, Solid bezel movement, Not to mention the nice presentation with the box, warranty card, polishing cloth, Etc. Very good buy.. There's so many watches to choose from, but this watch is very impressive. The blue is deep and the luminous hands that glow in the dark are very helpful. The numbers are nice to look at and the company seems like a good one. I'm impressed and very happy with this purchase. 5.0 out of 5 starsevery aspect is perfect! Bought it August 2015 and I can't complain, every aspect is perfect! 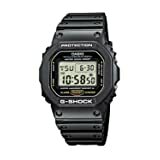 watch and gave a black version to a friend who never hang out without it. of my stuff - anyway - you will be happy dressing it as I do, as my friend does. My God I love this watch. 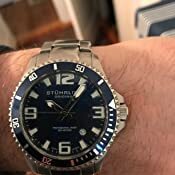 Just got it 3 days ago and it just may be the best watch I have ever owned and best looking. Waited a long time searching for just the right watch and found it. 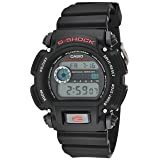 Just shy of $100 but looks nicer than some $300 plus watches I have owned and just as well made. The Swiss rock. The color is outstanding and great strong secure band that I had to take to remove 3 links to fit but expected this. Don’t buy a cheap watch repair kit for the links, was junk and I sent it back, just let a jeweler do it right. My rist is just a medium width and watch still looks awesome and classy. 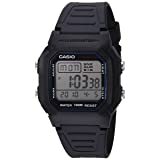 If your after a well made good looking casual dive watch that won’t break the bank this one is for you to. The case it comes in is sooo nice as everyone else had said.